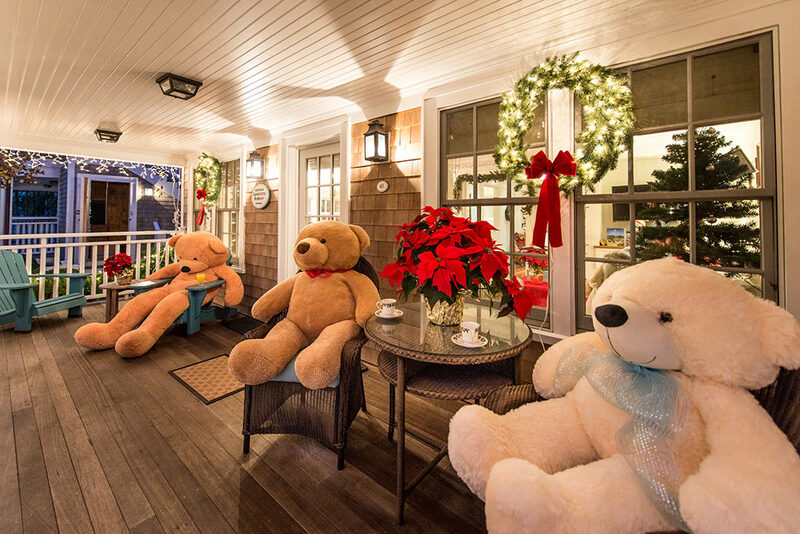 Time for one of our favorite Martha’s Vineyard Teddy Bear Suite traditions. 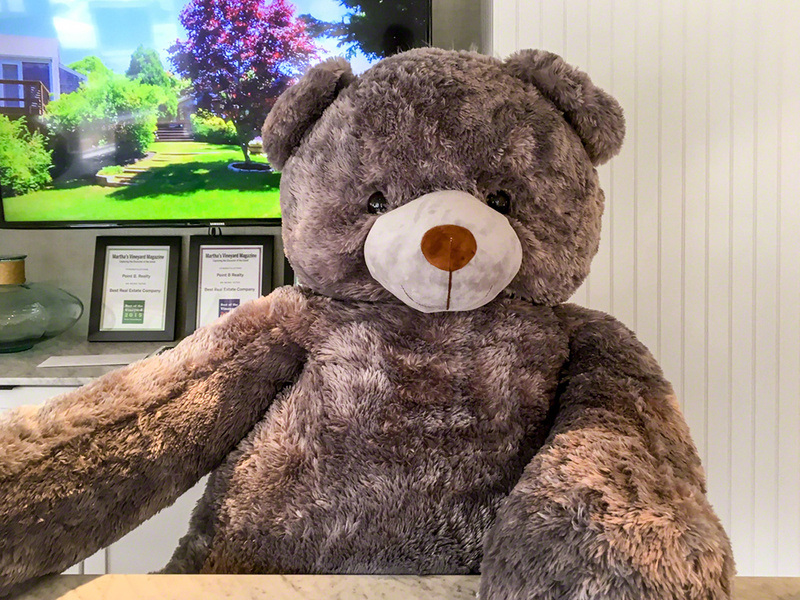 Name the new bear! 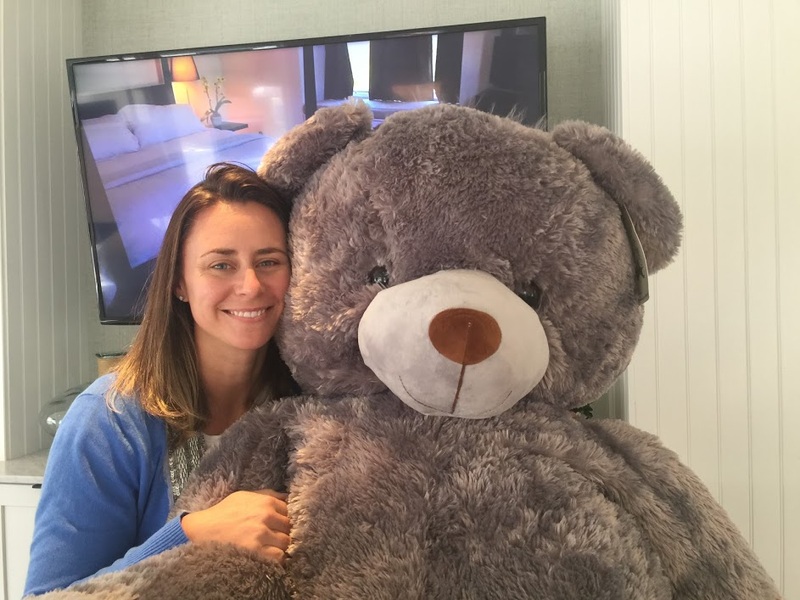 We gave our own Guinevere Cramer the opportunity to give the big reveal for our new big bear! 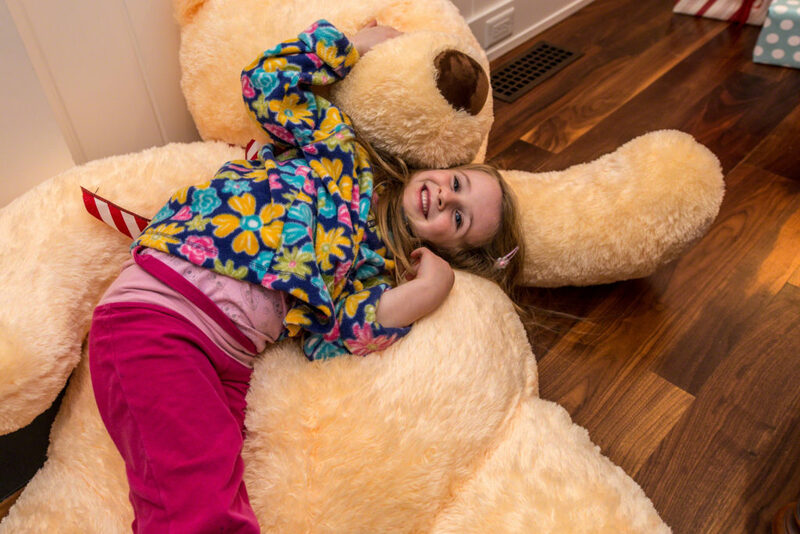 This new addition to the Teddy Bear Suite family will be our seventh big, larger-than-life bear. He/she joins six other big bears that are between five and six feet tall. So far, our big bear family includes: Edgar, Chappy, Obie, Quinn, Lambert, and TisBeary. All great names that have been chosen by all our followers, friends, donors, and supporters. Suggesting and voting on names is easy. We use social media. You can vote right here in the comments section, visit our Facebook Page, Instagram or Twitter Pages. Use the hashtag #mvteddybearsuite when you vote. Some of the names already in play for this adorable, big grey bear: Katama, Moshie, Vinny, Lucy, and Martha. You might notice, that we usually end up with Martha’s Vineyard-inspired names. It’s a fun tradition. My oldest daughter says Cuddles and my Youngest says Brady!!!!! So sweet – thank you Sara to you and your littles!